A professional on his lunch break walks down to a local eatery and enjoys a turkey club with avocado lime spread and a crisp dill pickle spear on the side. For twenty minutes out of his busy day he is calm, and he can already feel the tired 2 o’clock feeling coming on. He reaches for his credit card, swipes and in an instant his tab is settled. Let’s focus on that instant… blip… that instant when funds are transferred from consumer to merchant. To break it down; the customer swipes his card through the terminal to pay $10.00 for his lunch. The terminal reads who the customer is and contacts the bank that issued the card. The bank at this point, must make a decision on whether or not to pay the merchant. Could the transaction be fraudulent? Are there funds available? Upon approval, the consumer’s bank sends $10.00 to the merchant’s bank, and then the bank deposits $9.80 into the merchant’s account. That $0.20 is sent back to the consumer’s bank and it is then split five times: with the issuing credit or debit card company at a predetermined rate, the issuing credit card brand (i.e. Visa, MasterCard, Discover, etc. ), the processing company, then to an ISO selling the processing (if applicable), and finally, it is split for the last time if there is an independent contractor selling the processing for the ISO. We’re certainly not splitting the atom, but this is getting eerily close to nuclear fission. At the end of each business day, all of the credits and fees are tallied by the processing company. After about 2 business days, the settlement is deposited into the merchant’s bank account. The processing fees are typically debited from the merchant’s account 3-5 days after the end of the month. Phew – that is quite the process! Why would a processing company go through all of this effort for pennies on the dollar… or sometimes fractions of a penny? Why would a business pay to have customers pay them? Market trends and statistics provide an overwhelming answer to these questions. According to Javelin Research, in 2011 only 27% of all in person sales were made with cash. According to the SEC in 2011 – $17,782,000,000,000.00 were spent using Visa, MasterCard, American Express, Discover and Diners Club. When you start to take small percentages of nearly 18 trillion dollars, it becomes clear just how lucrative this business can be. For the business owner, according to Ari Shapiro of NPR, consumers purchase 40% more when they shop with a credit card vs. cash. Many interesting clinical psychological studies break down the why behind this. So what does all of this mean for our small businesses? Well, with so many entities fighting for a slice of the dollar, the competition among merchant services providers is stiff. Given the dynamic nature of the industry, loyalty, transparency and honest hardworking member service are hard to find. Perform your due diligence and interview various clients to see just what kind of service is actually provided. A few minutes now will pay dividends later! *Sources: Psychology Today, Nerd Wallet, Huffington Post, and Host Merchant Services. Remember writing term papers in high school or college? You had to prove a point using evidence provided by your research of the topic. In many ways, a business plan is proving the following thesis: “I can successfully operate a sustainable business.” So what research do you need to prove this idea? Market Research – Who are your competitors in the area? What are their prices for comparable services? How will you differentiate your product/service from theirs? Financials – Create realistic projections for the money you will make and lose over the next 3 years. Explain how you came up with these figures, and how they will figure in to the growth of your company. Also include the amount of money you, your partners, and your investors (if applicable) are contributing to the start up. Biographies – Who’s who in the organization? What skills, experience, and talent does each of the business owners/partners bring to the proverbial table? Understand how each person will make the business successful. What are the duties of each person employed by the company? How will matters be resolved if the partners cannot agree on an issue? Marketing Plan – How will your potential patrons know about your business? How much of your budget is devoted to marketing? Depending on the type of business, will you do traditional advertising, or organic word of mouth marketing? The Company Itself – What product or service are you providing, and how will you be doing this? How did you originally get involved in the industry? What makes this industry a worthwhile use of your time, energy, and money? These are only a few of the aspects to consider when creating a business plan. You can find many seminars on how to write a business plan for little to no cost at local libraries, local community colleges – particularly Brookdale Community College, and of course at First Financial Federal Credit Union. Formal templates can be found at www.SBA.gov or www.SCORE.org. Use these questions provided, along with one of their templates, to prove your thesis – you can, in fact, operate a successful business…once you have the right plan! Down to Business: Has Your Mission Statement Changed? Awhile back, we wrote about how an important part of starting your business is creating a mission statement identifying the proverbial “who, what, where, why, and how” of your business. Am I reaching the target audience I thought I would? Perhaps you were targeting Baby Boomers and ended up servicing more Millennials instead – have you updated your vision, plan, and marketing to reflect this adjustment? Have you added new employees to your leadership team whose decisions add value to your business? Do you need to? What is the business? What is the product? Ultimately these might not have changed significantly since the launch of your business. But should your company or product be altered to meet new demographics you did not realize you would reach? Why does the business exist? You started this business because you had a dream and a market to enter. But now that you have been operating for awhile, what makes you competitive enough to stay in the marketplace? Is it time to hire a new manager? Are you solely an online business and would like to move to a storefront – or vice versa? Could you cut costs or do you need to develop your inventory more? Admittedly these are a lot of questions; however, it is crucial to question your business several times per year to justify the sustainability of your company. If you aren’t questioning it, someone else could be, as well as developing their own company that might be your direct competitor. Questioning your mission statement that you created with the original bullet points gives you a chance to look at your business as if you were your own competitor. The best way to maintain your mission is to stay ahead of it! Starting your own business is one of life’s most exciting and harrowing experiences. Good planning is essential to helping you stay on course and deal with unexpected hurdles. Research is the first step in the planning process and you don’t have to go it alone. While you should be an expert on your industry, products and services, there is no way that you could be an expert on everything that running a successful business requires, particularly the financial, legal and tax requirements. You may waste precious resources – your time, energy and possibly money- in the long run trying to do things yourself that you are not qualified to do. Outside experts can include bookkeepers/accountants, lawyers, web designers and business coaches. Too often, we think we have all the answers and are the only people who can really get things done. The reality is that we are in danger of stretching ourselves too thin, and can risk the potential success of our business by not utilizing outside expertise. Consider hiring on a consulting basis to keep costs low until your revenues start growing. Look to your industry for references – the ideal professionals are those who have specialized in yours. Unless you are a numbers whiz or have a degree in accounting, it is advisable to get a professional to set up your accounting system. Each start-up is unique but generally most start ups can begin with a bookkeeper. The bookkeeper will help start you off with a good record keeping system, handle financial transactions, and produce financial statements. An accountant will cost more, especially if you plan to aggressively grow. To keep costs down, you can use an accountant for year-end tax planning; the right accountant will not only help you with tax returns, but also with longer term tax planning and networking. Good legal advice is worth its weight in gold; bad advice can destroy your business. 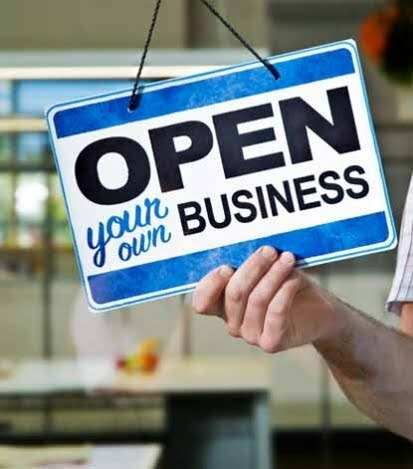 A good business lawyer will provide vital assistance in almost every aspect of your business, from basic zoning compliance, copyright and trademark advice, to formal business incorporation, lawsuits and liability. Hire a web designer who can design both your logo and website. You want a website focused solely on your company that is easy to navigate and full of useful information. Before the designer gets started, think about exactly what you want someone to do and how they should feel logging onto your site. Get a coach. Even if at first you don’t get a business coach to help you and guide you in your planning and operation, get someone who is objective and outside of your business whom you can rely on for nitty-gritty business advice and to hold you accountable for getting results. Another set of eyes can work wonders for how you operate both for you and your business. An outsider can also make sure you are getting the numbers you need both on the top line and the bottom line to survive. Working with these professionals from the start will not only increase your business success factor, but also free you to thrive in doing what you do best – your business! Remember no successful business owner is an island; plan to utilize financial, legal, technical and marketing professionals from the beginning. The third quarter wrap-up is quickly approaching therefore it’s a good idea to review the progress on your business plan again. Your business plan should include short-term goals (3-6 months) as well as annual goals and long-term goals (two years or longer). It’s important to understand not only whether you’re meeting your goals, but why or why not and what changes need to be implemented to make sure you meet those goals. As summer closes and you gear up for fall, you want to look at your progress on some crucial priorities in your business plan. This should start with your revenue and profitability. Are you meeting the targets you set at the beginning of the year? If not, it’s worth looking at how you’ve done on your other priorities to see if you can determine the reason. This is the time of year when you should evaluate your marketing efforts. If you devised a marketing plan in January, maybe it’s worked out exactly as you had hoped. But nine months have gone by and the realities of your business are not always what you thought they were going to be. You need to consider whether that marketing plan requires an adjustment. Remember, your business plan doesn’t have to be set in stone. You can see it as a living document that is open to amendments. If we can amend the Constitution, you can amend your business plan if it needs it! You should also look at whether you’re hitting your target demographic. A simple but tailored customer survey – possibly conducted online or via phone, can help you find out. These techniques can often help you understand if you’re reaching the people you need to reach, and whether you need to tweak your approach to do so more effectively. Take a step back and ask yourself, are you hitting your target demographic or do you need to tweak it? Create an online survey and/or make a follow up call to see if your customers are happy with your service and if you are meeting their needs/expectations. Recently, one of our team members visited a local hair salon. She received a follow up call within the week to see if she was happy with the service they provided, and if she had any recommendations to improve the experience. Small businesses that follow up are smart, usually among the first to recognize the adjustments they need to make and tend to be more successful than those who do not. So, make it your priority to review your business plan before the year comes to a close and adjust wherever you may need to!